I know, I know. It's been forever since I've written. Eventually I'll do an update on our life, but I really, really want to share one of the most special, healing moments of my life. As you may or may not know, I gave birth to Elsie in May of 2013 via c-section for "failure to progress." At the time, I did not realize how much of an effect her birth would have on me emotionally. I suffered severe post-partum depression (that I sort of refused to recognize), and had a lot of trauma associated with that birth experience. At some point I will revisit that experience and the emotions that it brings up now, but for now, I want to share the story of my VBAC. This post will contain the story of the actual birth, while it is still fresh in my mind. At some point in the coming weeks, I would like to post about the months leading up to Callum's birth - how I prepared myself, my fears, my thoughts, and my desires. This story, though, starts on Sunday, March 22nd. On Sunday afternoon, I was 4 days past my estimated due date with no signs of labor, which was fine with me - I expected to go "overdue." We joined Mike's dad in Salt Lake City for some family time at the park. We walked around quite a bit, and as we got ready to go home, I started to experience mild contractions approximately 20 minutes apart. They continued throughout the night, and I let myself get a little bit excited. Monday morning around 7:00 am, the contractions became more sporadic and varied in intensity and frequency. I continued to go about my day as usual. Around sunset, though, the contractions came back and were approximately 10-15 minutes apart, and a bit more intense than they had been the previous night. I knew pre-labor was a thing, though, so, again, I ignored them as best I could and went about my day. Again, the contractions became sporadic as the sun came up. The exact same thing happened again Tuesday night, then Wednesday night, each night the contractions became more intense and more frequent. On Wednesday night, they kept me up the whole night and were 5-7 minutes apart. Somehow I knew it wasn't "time" yet, but I was so emotionally and physically exhausted that I began to pray that he would just make his appearance soon. Thursday night was more of the same, with contractions spacing out and becoming sporadic on Friday morning. Friday night, contractions started as they usually did around 7:00. This time, though, they were much more intense. I was a little annoyed, because I hadn't really been able to sleep much over the past few days, and I still just knew that it wasn't time. Contractions stopped around midnight that night, and I was so relieved - I COULD SLEEP! Until... they woke me up at 3:00 a.m. I spent most of that night in the tub and shower, breathing through some incredibly intense contractions, waiting for the sun to come up so that I could get some rest. But... the contractions never stopped. I didn't want to go to the hospital till the last minute, so we made the decision to go about our day as normal. We went to an Easter egg hunt, did some house hunting, and spent time as a family, all while I was in labor, with contractions approx. 10 minutes apart. Saturday night was miserable, I don't think I slept much. I decided not to go to church on Sunday (the only way to get through these contractions was to stand and sway my hips... can't really do that when you're sitting on a pew). We went to the hospital to get an NST to make sure Callum was doing okay (at this point, I was 41 + 4). I got a lot of "Oh, you're pretty far over your due date to try for a safe vaginal delivery" or "Failure to progress usually doesn't make a good VBAC candidate" or "Oh, I'm surprised you haven't been scheduled for a RCS yet." Of course my kid was a champ - no problems whatsoever. We opted to leave the hospital and go for a walk, I tried to ignore the pain I was in and enjoy the time with Mike. Sunday night was MISERABLE. 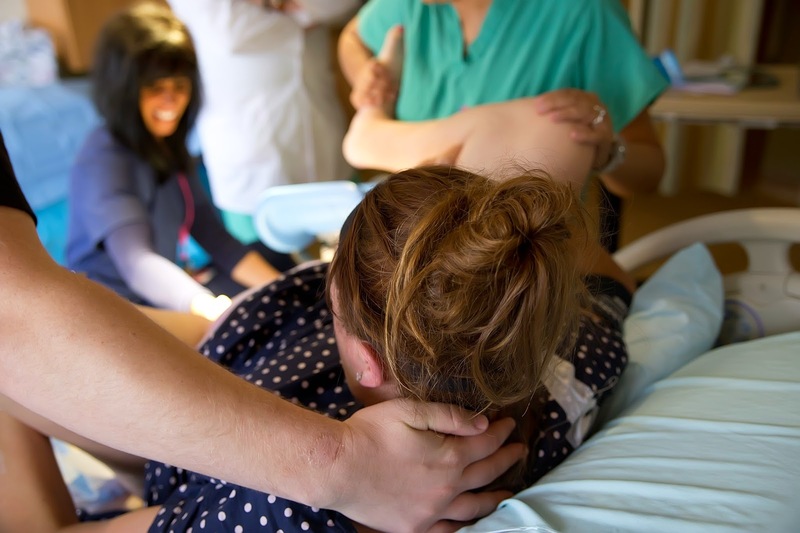 I cried and cried, even begged Mike to take me to the hospital so that I could just "have a repeat c-section - dealing with that would be easier than going through this labor!" I showered and bathed, showered and bathed, cried an ugly-girl cry, then showered and bathed some more. I determined that I had HAD it with this labor and that I'd call my OB (who happened to be out of town) first thing in the morning. Monday morning I called Dr. Wall and asked him if we could schedule an induction for the following day when he returned, and asked what my options were to manage the pain until then. He suggested going to the hospital to get a morphine shot so that I could relax and get some sleep. We decided that we would induce on Tuesday night when he returned. I went through Monday absolutely miserable. Mike came home from work early, we took Elsie to her cousins' house, and we packed the bags in the car, just in case we decided to stay in Sandy. We got to the hospital around 5:30 p.m. on Monday. At that point, I'd been in active labor for about 62 hours. Before they could administer morphine, they had to monitor me for an hour to make sure that the drugs wouldn't affect the baby. Before they put the monitor on, they checked me - I was at a 2 - the same place I'd been 3.5 weeks earlier (that was discouraging, ,to say the least). After an hour, before they gave me the morphine shot, they checked me again and I was a 3+. Holy cow! I had progressed! We opted to stay for another hour just to make sure I was good to go home, but at the end of that hour, I was a 4. We decided to stay and labor at the hospital. I texted my amazing doula and let her know that I would probably be calling her in a few hours, and then I got some rest. I asked my doula to come around 11:30, once things got to the point where I really couldn't handle much more pain. Once I progressed to a 5, we opted to break my water to try and speed things up. I labored by walking the halls, bouncing on the ball, and lying in the tub. To this point, my hypnobirthing techniques were serving me pretty well. I can't remember when it was, but at some point around 4:00 in the morning, the pain just multiplied. I couldn't breathe through it anymore, I was shaking like crazy, and I just wanted to cry. I had to be somewhere around an 8, right?! Nope. I was a 6. A freaking 6. I still had 4 cm to go before I was ready to push this kid out. It got to the point where I was begging for an epidural. Lucky for me, I had a fabulous support team in my doula and my husband, and the nurse was absolutely fantastic, as well. 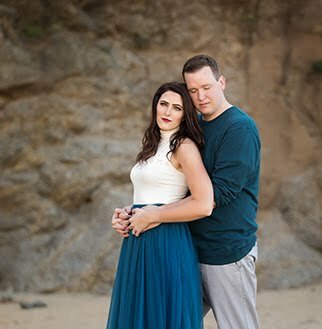 We were able to discuss the option of an epidural (I originally wanted to go unmedicated), and they all made sure to reinforce the fact that getting one was not failing. It was OKAY. 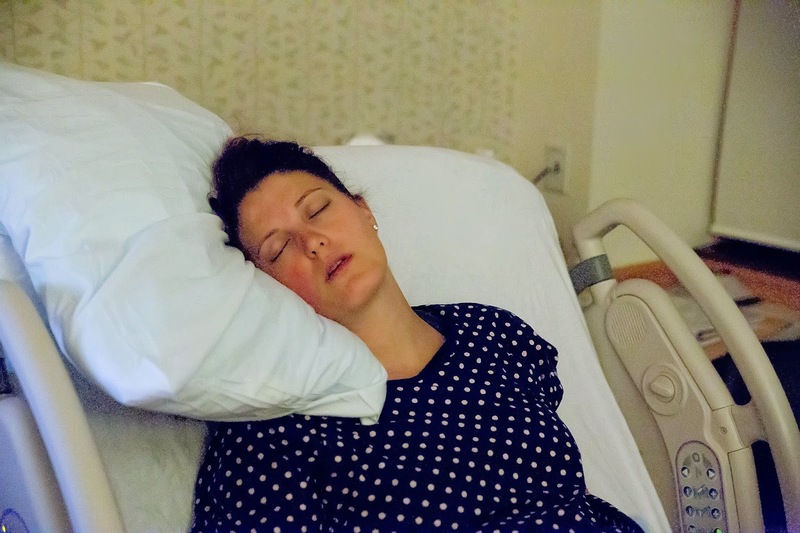 I just *knew* that if I got the epidural, I would be able to relax, sleep, and my body would do what it was supposed to do. 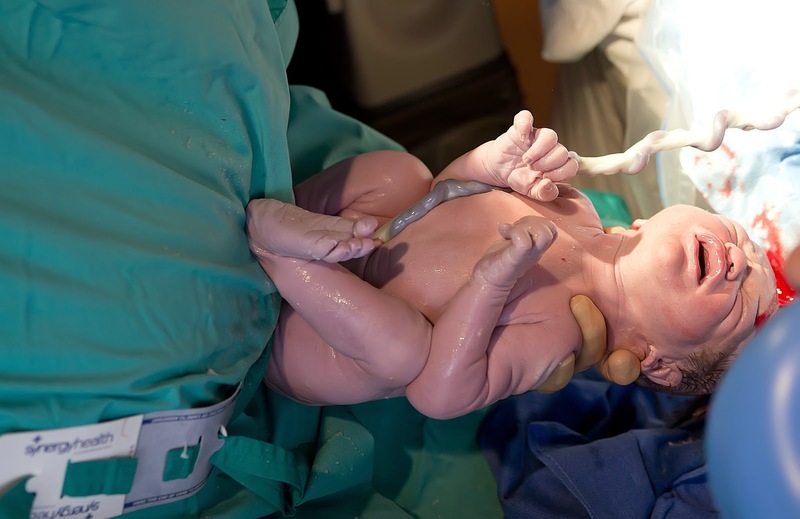 I had an overwhelming feeling of peace - I knew that, at that point, the epidural was what I needed in order to have the birth I so badly wanted. I think the epidural was administered around 6:00 or 6:30 am, and by 7:30, my body had progressed to a 9. I opted to sleep for a few more hours, and in that time, Callum moved down the birth canal, my body progressed to a 10, and Kristina, Michael, and I, all caught up on our beauty sleep. Around 11:00, they asked me if I wanted to start pushing or let the baby move down to a more favorable position while I slept and rested some more. Let's see, here... push for three hours, or sleep for two hours and push for one? Ummm yeah. Sleep won that battle, hands down. About 12:45pm, the nurse came in and we decided that it was time to start pushing. Callum Michael was born at 1:46 pm, March 31st after almost 82 hours of labor and one hour of pushing. He weighed 8 lbs, 13 oz, was 22 inches long, and had a 14.76" head circumference. I wound up with a 2nd degree tear (which is nothing compared to that c-section scar!). I have never in my life felt so strong, so empowered, so exhausted, so happy, so AMAZING as I did in that moment. My body was not broken. I did not fail. I am strong. I am healed. Great job, mama! I'm getting ready to do this myself in the next few weeks. I'm really nervous about it. Your story has given me hope. I have the cervix of steel and I'm afraid I won't progress! I am so happy that you were able to do it. All of f these pictures are so beautiful and you such a strong woman. I'm happy to see a post from you!! It's been too long. My goodness momma, I'm exhausted just reading your post but baby boy is worth all of it. I'm so glad you are both doing well and can't wait to see him grow - big hugs and high five to you!!! Ah! I'm so happy for you!! It sounded a lot like both of my births. My last one was rather short - only 29 hours of active labor! (I'd had prodomal labor for two weeks before though that started every morning and ended each night so I don't know how much of that played in to it) I got pressured into going in for a c-section after 36 hours with my first because I got to the end and seemed to stall right at 9(10)cm. Luckily there were SO many things that delayed it on their end (God was definitely watching out for me) that I was able to have him vaginally there in the operating room. This second time it happened again and I felt so much more at peace with what happened. I knew MY body and what it needed so when that time came again I was fine (as in I fought for the drugs so I could sleep haha) because I knew it was just my body trying to get ready for the next part.